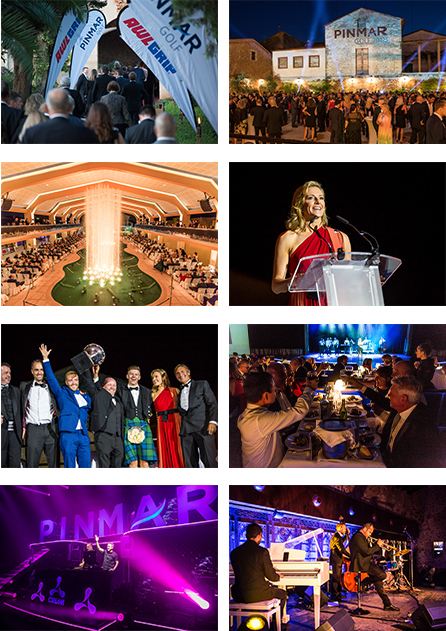 Held from the 18 to 20 October in Mallorca, The Pinmar Golf 2018 marked the event’s pearl anniversary: a significant milestone that is a true testament to how much the event is enjoyed by the yachting industry and valued for its immense fundraising and networking opportunities. 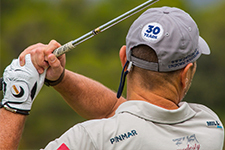 While the golf tournament has grown and evolved greatly over this time, the 30th Pinmar Golf still had some surprises in store to ensure that it was a standout edition for everyone involved. On Thursday morning, the first golf teams teed off at the prestigious Golf Son Gual following an 8am shotgun start. While the weather conditions may have been challenging throughout Thursday and Friday, with a mixture of both rain and shine, all golfers played with enthusiasm and enjoyment. Dotted around the course, the wine and beer bars helped to kickstart the charitable donations thanks to the support of the volunteer bar staff provided by the sponsors. After their rounds, the golfers congregated back at the clubhouse for some well-deserved refreshments. New this year was the ‘Social Player’ package, created for non-regular golfers who wanted to participate in some light-hearted golf and enjoy the social atmosphere at the clubhouse. The putting and driving range clinics and competitions included in this package were a real success, and gave the social players the opportunity to brush up on their putting and swing techniques, with the pros on hand to offer some handy coaching tips and advice. 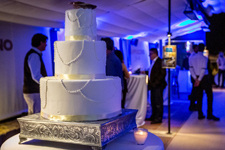 The Friday Night Pearl Party to celebrate The Pinmar Golf’s anniversary was held at Cappuccino in Puerto Portals. With flowing drinks and live music it was the perfect way to cap off two days of golf. 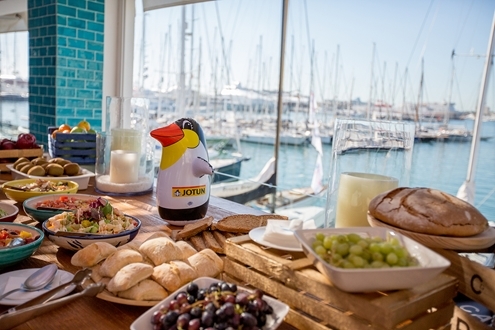 The Jotun Recovery Brunch on Saturday morning returned after the success of last year, this time hosted at Wellies restaurant in Puerto Portals. 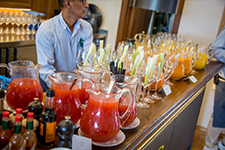 The Bloody Marys and delicious spread of food were well received following the VIP Party the night before. Building on the success of last year, the Awlgrip ‘Black Tie’ Prize-giving Gala Dinner and After Party returned to the beautiful Son Amar estate outside Palma for the 30th anniversary celebrations. 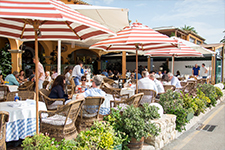 The traditional Mallorquin ‘finca’ provides a welcoming terrace for the pre-dinner drinks and canapés, a covered fountain area for the prize-giving ceremony and a purpose-built dinner theatre. With a show befitting a 30th anniversary, plus British TV presenter and former international gymnast Gabby Logan expertly hosting the proceedings, it was a memorable evening of entertainment topped off by our Cream Classics DJ Set well into the early hours. 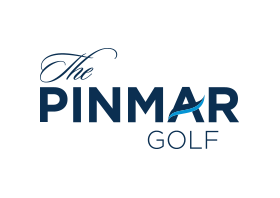 As well as the huge effort from the Pinmar organising team, the success of The Pinmar Golf relies on the generous backing of its sponsors, many of whom have been supporting the event since its inception 30 years ago. Over 100 different companies from all sectors of the superyacht industry support the tournament each year in a host of different ways and are integral to the large amount of money raised each year. The 2018 event had 288 golfers and collectively over 800 attendees across three days who, along with our wonderful sponsors and hard-working volunteers, raised a magnificent figure of €92,065 for the Pinmar Golf Charity Fund which pushes the 30 year total beyond the €1million mark to €1,036,480. A very special way to celebrate our 30th year, so many thanks to you all. The Awlgrip 'Black Tie' Prize-giving Gala Dinner and After-party returned for a second year to the beautiful Son Amar estate just outside Palma for our 30th anniversary celebrations. The spectacular finale to the three-day event saw over 700 guests enjoying aperitifs and canapes to the sounds of the Bond Street band as the sun set on the Royal Terrace. The Prize-giving ceremony then followed, hosted by Gabby Logan, and each winner was greeted with a spectacular fountain show as they collected their award. Once seated inside the incredible theatre, guests were treated to a mouth-watering three course dinner prepared by the executive chef before the Son Amar cast delighted the crowd with selected acts from their legendary shows. The most important part of the night, the charity fundraising, was introduced by a thought-provoking video from Blue Marine Foundation about ocean conservation. Peter Brown then gave a review of the fundraising across the golf days, with the main auction, silent auction and Exilator raffle then contributing large amounts to the running total. To round off the evening the dinner-theatre seamlessly turned into a nightclub, with the fabulous DJ line-up from Cream Classics Tour headlined by Tall Paul and Anthony Probyn and with a special live performance by K Klass featuring Bobbi. With talent like this on the decks the dance floor was rocking to the unmistakable Cream soundtrack of the eighties, nineties and noughties. For those looking for a quieter retreat we opened the Velvet Music chill-out lounge just outside the main room, where guests could sit back and relax with friends and colleagues to the smooth sound of the Julian Vaughn Quartet jazz band. 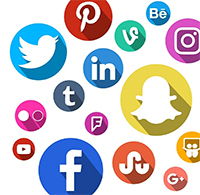 We would love for you all to get involved with The Pinmar Golf on your social networks and share your 30th anniversary memories with us. We have launched The Pinmar Golf on Facebook, Twitter and Instagram and along with our Media Partners, The Superyacht Group, we'll be posting content with #PinmarGolf for you to enjoy and share. Back for a second year by popular demand, Jotun is taking its recovery brunch to Wellies in Puerto Portals. One of the Port’s original eateries, which underwent a stylish makeover in 2016, it’s the ideal waterfront venue for nursing weary post-Party feet and heads back to top form. Having been a major supporter of The Pinmar Golf for 19 years, Awlgrip is well-positioned to reflect on the close relationship. René Bremer, Superyacht Key Account Manager at AkzoNobel talks to the Pinmar Golf team. Pinmar Golf veteran Nick Entwisle looks back on 30 successful years, from pouring rain to professional golfers and everything in between. Pinmar Golf 2018 speaks with Gabby Logan, former international gymnast and current sports broadcaster and television personality, about how sports have the potential to enrich lives and give back to those in need. Pinmar parent company, GYG, has partnered up with the Blue Marine Foundation, a UK registered charity that is committed to restoring the welfare of the oceans. Through the Pinmar Golf event we will raise funds to provide direct support to Blue's marine preservation projects around the world. As well as featuring a revamped programme, The Pinmar Golf 2017 welcomed Open Champion Paul Lawrie as golf ambassador for the event.